So you had a lousy reading and now you're wondering if the psychic or psychic medium is a scam artist. There are multiple facets to this answer, because it’s rarely so cut and dry. If your reading with a psychic or psychic medium had absolutely no hits (nothing rang true for you), it’s possible the psychic or psychic medium is a fraud. It’s also possible that the psychic or psychic medium is legitimate but not very good (poor natural ability or poorly trained, if trained at all), or that she was having an unusually bad day. Scam artists are usually looking for more than the mere profit they can make from the reading fee alone. What they really want is to find an impressionable client who comes to rely upon them after several readings, at which point they will tell her that she has a curse on her. They’ll say that this curse is blocking her from success in her career, relationships, health or all of the above. And it’s at this point when they tell the client that they (the psychic or psychic medium) can remove the curse for a fee. Aha! Now that's how you smell a scam. Since the scam artist pretending to be a legitimate psychic or psychic medium usually knows a lot about the client by this point in their relationship (because she’s encouraged a codependent relationship), she likely knows how much money the client has in the bank. And, low and behold, she’ll tell the client that it will cost approximately that same amount to remove the curse. Wow, what a coincidence! I’ve heard tragic stories where people have lost $12,000 to $27,000 due to this scam. It's not the amount that makes these psychic scams especially tragic; it's that the amount is often the person’s entire life savings. And even if the Attorney General's office catches these scam artists and puts them in jail, the victims of these psychic scams rarely ever get their money back. I’m sure there are some phony psychics and psychic mediums who are satisfied with just giving readings and not going for the big rip off. But this is more difficult with psychic mediums since spirit communication requires evidential messages. 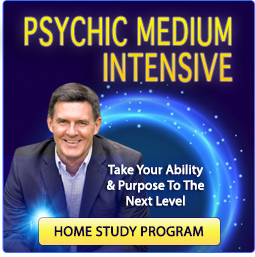 So if you had a lousy reading with a psychic medium, it’s quite likely that you weren’t scammed. Chances are you just got a bad reading. Either you chose a psychic medium who is poorly gifted or you chose a highly gifted psychic medium who simply had a bad day. There is also one other possibility. It’s also possible that you were let down more by your expectations than by the psychic medium's reading ability. Some people are looking to hear from one—and only one—person in spirit, so no matter who else comes through, and no matter how accurate the messages might be from that other spirit, that client is going to be unsatisfied with the reading because he didn’t get the spirit he wanted. Other people are let down by their own expectations because they expected too many details. 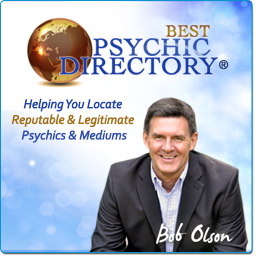 Most psychic mediums are not going to give you full names, exact addresses, dates with the month, day and year, or be spot-on accurate with every message. 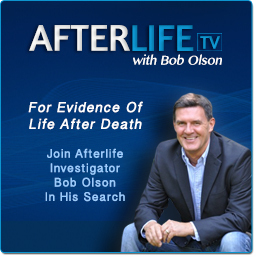 If you’re expecting the evidence to be that detailed or the spirit communication to be as clear as two people talking on the telephone, you’re likely going to be disappointed. But this isn't indicative of a scam. Skepticism is also a factor. Sometimes a client’s closed-minded skepticism gets in his way and he’s unable to recognize a good psychic reading when he gets one. I was this way in the first two years of my investigation of this field. 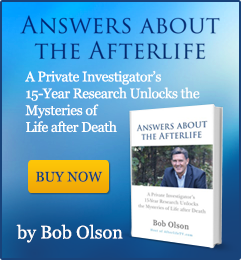 After my father passed in 1997, I saw lots of psychics and thought everyone of them to be a fraud. Chances are I was just too cynical to accept any messages that weren’t evidence based. That doesn’t mean the psychics weren’t good. It just means that I wasn’t ready to accept their vague generalities without strong evidence. What I needed was a reading with an evidential psychic medium, which I finally got in 1999. But from 1997 to 1999, I didn’t even know what a psychic medium was, as most people didn’t back then, so I mistakenly went to psychics looking for evidential messages from spirit. 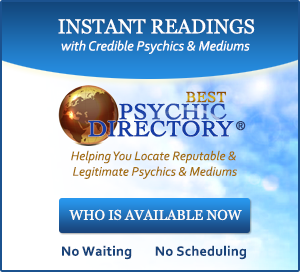 If your reading sucked yet you chose a reputable psychic medium based on the testimonials of other people, the probability is that you weren’t scammed. The probability is that you merely got a crappy reading. I recommend that you contact the psychic medium and let him know about your dissatisfaction. Ask him if he thinks the reading went okay or if it’s possible that he was having an off day. Of course, be gentle in your wording, since most psychics and psychic mediums are very sensitive. You don’t want to be antagonistic or mean, as aggressiveness only invites defensiveness. If you are gentle in your complaint, many psychic mediums are honest enough to admit if they were having a bad day and will possibly offer you a second reading at no extra charge. If the psychic or psychic medium disagrees that it was a bad reading, she might tell you that it was an excellent reading and that your skepticism blocked you from recognizing it. If this is the case, listen to the recording again or look over your notes to see if you might have missed some strong evidence. Were some messages accurate even if most were not? Was there any information conveyed that the psychic or psychic medium could not possibly have known without some gifted ability? If this is the case, your reading might have sucked, but it doesn't mean you were scammed. It just means that you chose a psychic or psychic medium who needs training, more experience or maybe even a new career. I believe that every reading is a stepping-stone in our journey of spiritual growth. 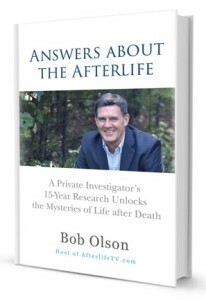 Even my worst readings over the years—and I’ve had many—taught me something valuable about spirit communication and spirituality. At the very least, they taught me to appreciate the better readings. So not all is lost when you get a bad reading. After all, if you get another reading in the future—and I recommend that you do—you’ll be much more careful about which psychic or psychic medium you choose, and now you have at least one reading to help you evaluate the next one.